On 21 September, Defence Minister Manohar Parrikar announced that the government is working towards ensuring that the perpetrators of the Uri attack are punished, as it will "not sleep over" terror being pushed into India from across the border. He also dismissed reports about Pakistan's threat of use of tactical nukes, saying that "empty vessel makes more sound" and asserted that steps will be taken to ensure that incidents like Uri strike are not repeated. "We take proper reading of everything and I don't think Prime Minister's initial words that 'those responsible will be punished', will go as a mere statement. How to punish, that is for us to work out. We are quite serious about it," Parrikar said. He was responding to questions about what India's response to the attack will be. 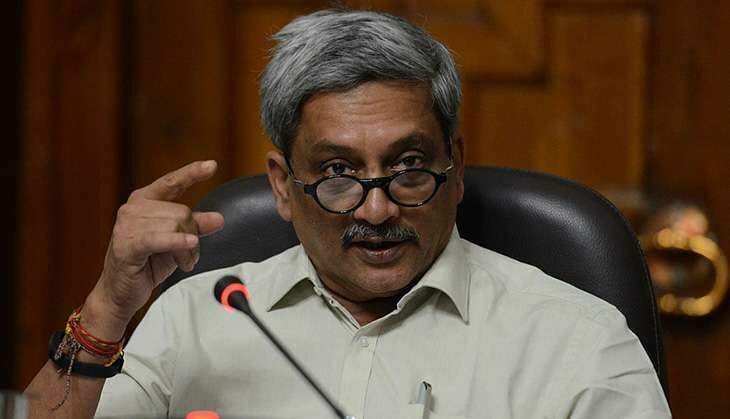 To a question on reports about Pakistan's threat of use of tactical nuclear weapons, Parrikar said the person who has strength, usually makes less noise. "Empty vessel makes bigger noise. This country is a very responsible power, but that does not mean I will sleep over this kind of terrorism that is being pushed from across. How do I do it is entirely for the government under the Prime Minister, to decide," he said. Parrikar said, "Obviously something must have been wrong. I will not go into detail of it. Obviously it is a very sensitive matter. "When something goes wrong, while you try to correct it, you should also ensure that it does not happen again. We will definitely find out what went wrong and also take steps to ensure it does not go wrong again. Country needs to ensure that repetition of wrong does not repeat again and again," he said. Parrikar's remarks came on a day when Army Chief Gen Dalbir Singh Suhag met National Security Advisor Ajit Doval. Will Prashant Kishor now handle Congress campaign in Uttarakhand too? READ NEXT >> Will Prashant Kishor now handle Congress campaign in Uttarakhand too?